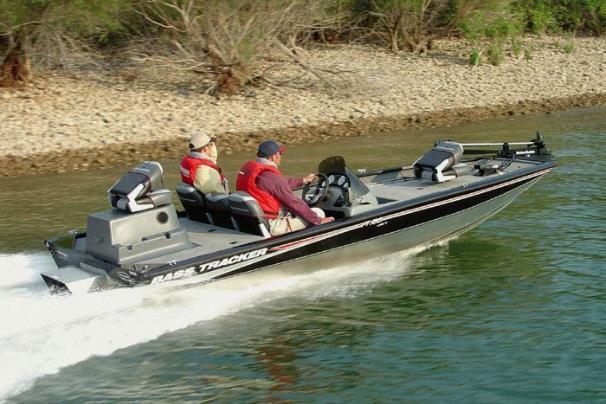 Boat Description Pro Team 185 Jet is designed to explore shallows and backwaters where most Mod V bass boats cant go. This one-of-a-kind fishing boat gets anglers to shallow, out-of-the-way fishing spots theyve only dreamed about before. The exclusive all-welded Revolution hull (with Smooth Ride Guarantee) delivers the smoothest, driest, best handling ride. Sleek, painted hull sides and gunnels, with natural aluminum bottom for durability. Package includes Mercury 175HP V-6 Sport-Jet engine, Lowrance X37 fish finder, MotorGuide foot-controlled trolling motor and aerated livewell with timer, plus our easy-to-tow custom trailer with EZ lube hubs, GalvaShield protection and swing-away tongue. Dry Weight 1525 lb approx.